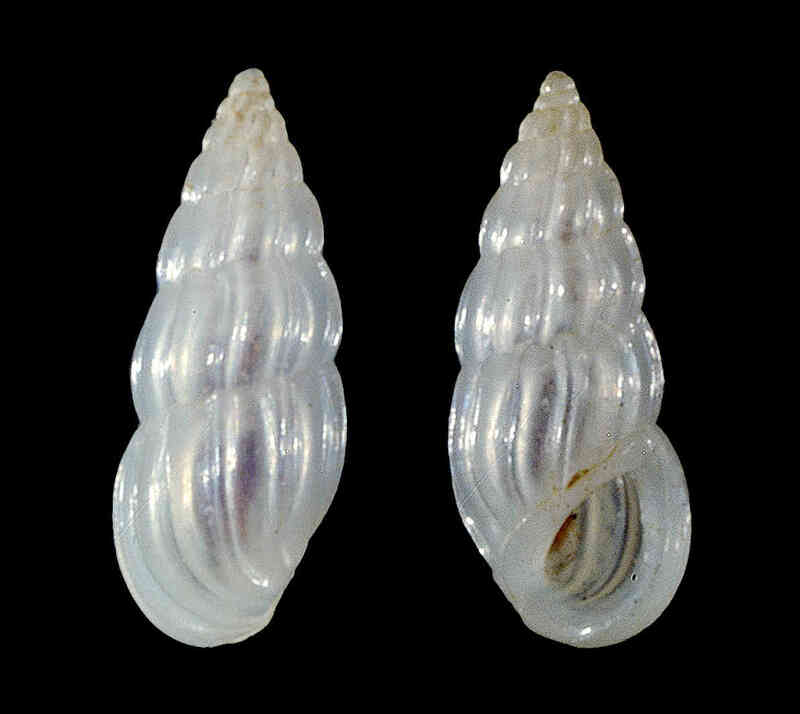 Shell size to 4 mm; Shell elongate, fusiform, with rounded whorls and fairly deep suture. Sculpture of 12-14 curved ribs per whorl. Aperture with single tooth-like projection inside outer lip. Color yellowish white to translucent white. 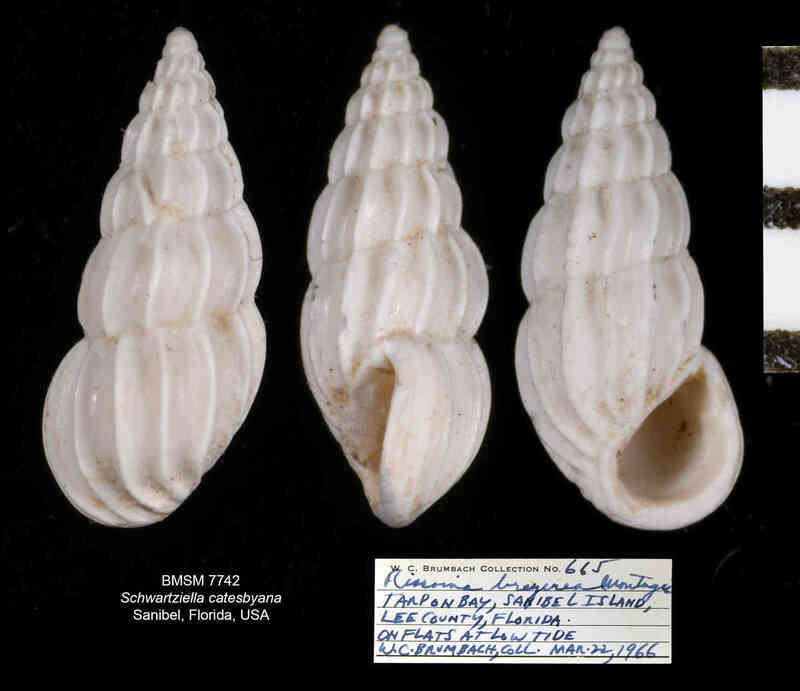 The supplementary image is of a shell from the W. Brumbach Collection and the scale units are millimeters.